Some time back I heard about a book that sounded rather interesting. It was called, Dear Me: A letter to my sixteen year old self, edited by Joseph Galliano. It's actually a compilation of letters written by people from all walks of life - actors, pop stars, BAFTA winners, a doctor, an Archbishop, even an horticulturist! These people have all written letters to their sixteen year old selves, effectively giving themselves the sort of advice they wish they'd been given at the time. You know: what I didn't know then but wished I did. It's a great idea and to be honest, I haven't read the book but it's on my to-read list. I've been thinking about it though, in the context of my own tortured teen years, and wondered if I'd actually pay attention to myself? My parents weren't the sort of people to dish out advice; they tended to let my brother and me make our own mistakes and learn our own lessons. My two grandmothers were polar opposites of one another: one was a highly religious, domestic goddess, while the other was a cigar-smoking world traveller with no sense of fear or restraint. Neither was in the position - I thought - to offer guidance to me in my world of teen angst. After all, no one could possibly have gone through the kinds of problems I'd been dealing with... school, boys, friends, am I too skinny, am I too fat, do I fit in? Weren't those questions unique to me!? So, had I had someone to advise me, would I have taken that advice? Probably not. Which leads me to the question, if I could give myself the advice, with the benefit of hindsight, would I have listened to me? Isn't it an interesting thought though? Do you have a teen in your life? Of course you could try to give them advice, the benefit of your experience, but is there any point? Which I think is why this compilation of letters in Dear Me: A letter to my sixteen year old self is such a brilliant concept. Young people in need of guidance - whether they acknowledge that need or not - are more likely to pay attention when it's not from a parent or well-meaning adult. Why not check the book out and see what you think. If you read it before me let me know what you think. Otherwise, I'll give it a look and a bit of a review. Today is Good Friday. We're planning to do a bit of gardening and to eat Hot Cross Buns! Whatever you do, enjoy! 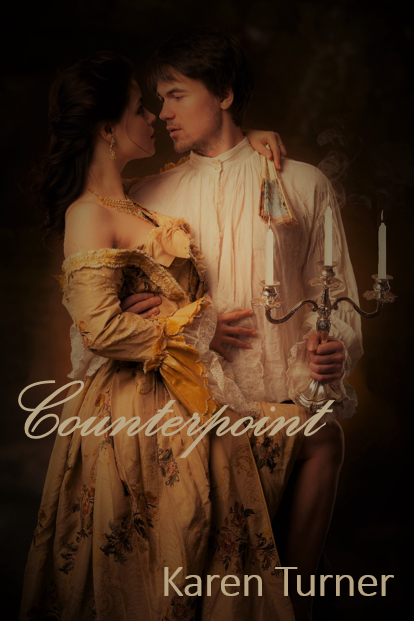 Bye the way, here's the cover to my Counterpoint novel. It's available now on Wattpad. A new chapter is released every month. It's FREE so why not give it a try? Teens don't know what to listen to...they hear so much, parents, teachers, movies, songs. Growing up is very strange ! A teenager has not lived long enough to be able to filter the voices that they do hear. except their own mind full of thoughts and of course their friends. So true...but I got most of my advice from Dolly magazine and my friends who were equally ignorant! So glad those days are gone!